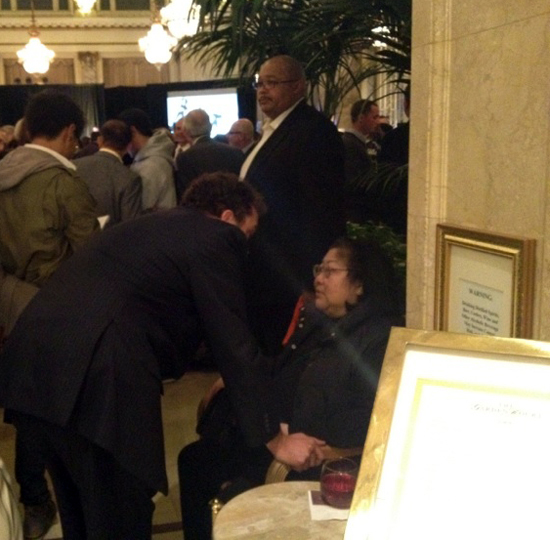 6:26 p.m.: Polls will close at 8 p.m., which is when we'll crown Ed Lee the next mayor of San Francisco we'll find out the results. Until then, your SFist editor will make himself a vat of french onion soup (why not?) and mainline contraband Pseudoephedrine (we're a tad under the weather) before heading out to a couple of election night parties (hint: one will involve a former mayor and MC Hammer). 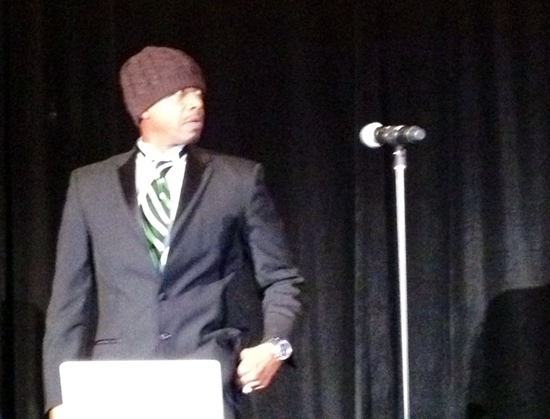 We'll update sporadically throughout the night with the results. You can follow us on Twitter to keep abreast of the returns. Also, you can follow friend of SFist, SF Examiner political columnist Melissa Griffin on Twitter for continuous updates live from SF City Hall. Reader updates, party scenes, state-of-the-world ire, and Election Night gossip is welcomed in the comments. Naturally. 6:54: State Attorney General Kamala Harris will make an appearance at Chris Cunnie's party at Delancey Street (600 Embarcadero). 7:08: Speaking of Griffin, she reports: "According to John Arntz, Director of Elections, only 79,000 of 201,000 absentees have been returned as of yesterday - 38 percent. Super low." Indeed. 8:00: Bzzz. Knives down. Voting is now closed. 8:17: No stations reporting yet. David Chiu's campaign tells Griffin, "We feel most proud about having run a positive, issues-focused campaign. David is tired but exhilarated." 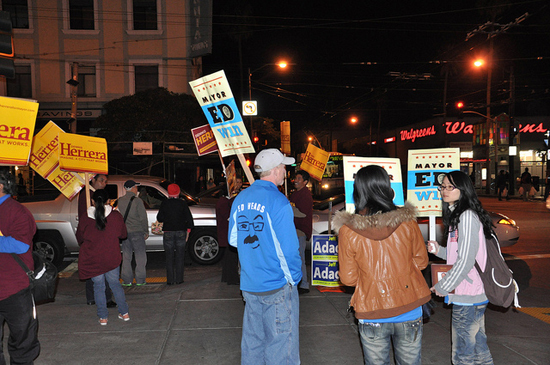 8:20: Photo of Lee and Dennis Herrera supporters at 16th Street BART station an hour before the polls closed. 8:22: In national news, Democrats retain control of the Iowa state Senate tonight "with the win of Liz Mathis over NOM & Family Research Council candidate Cindy Golding." Which is to say, a big win for civil rights and gay marriage. Whew. 10:20: New numbers in. Griffin report: "(Yes Votes) A (70.7); B (68); C (68.7); D (33.8); E (33.2); F (44.2); G (46); H (50.7)"
10:25: Photo: Rose Pak, undercover ruler of SF, sits guard at Willie Brown's election night party at The Palace Hotel. Scores and scores of people stop by to bow down and kiss her proverbial ring. An amazing sight to behold, folks. 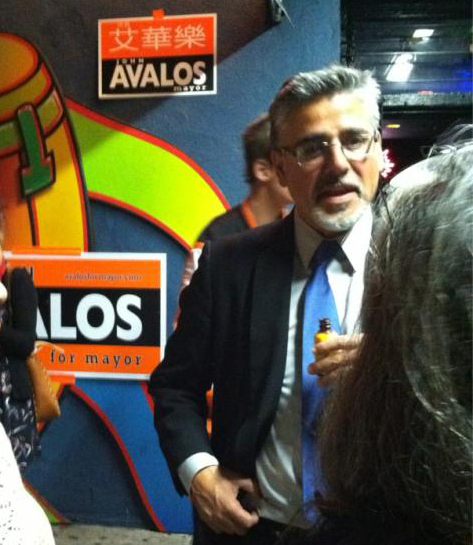 10:43: John Avalos at his election night party in the Mission. "The night is going just as we expected. It's going great," he says. 10:45: District Attorney's race: George Gascon has clear lead with 41%, followed by David Onek (23%) and Sharmin Bock (21%). 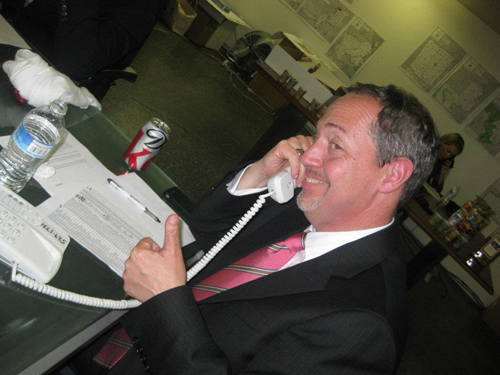 Sheriff's race: Ross Mirkarimi (38%), followed by Chris Cunnie (28%). 10:55: Since there's no majority in the mayor's race, we need to wait for RCV results to come, which could take as long as two weeks. From the Department of Elections: "At the end of Election Night, the Department of Elections reports results from all polling places. However, there are ballots that cannot be processed on Election Night, including vote-by-mail ballots that the Department of Elections receives on Election Day, provisional ballots that are cast at polling places, and ballots with write-in votes. In general, it takes the Department two weeks or more to process these ballots. Each afternoon after Election Day the Department will release a cumulative report that includes provisional and vote-by-mail ballots processed that day." 11:05: That's enough. Time for bed. 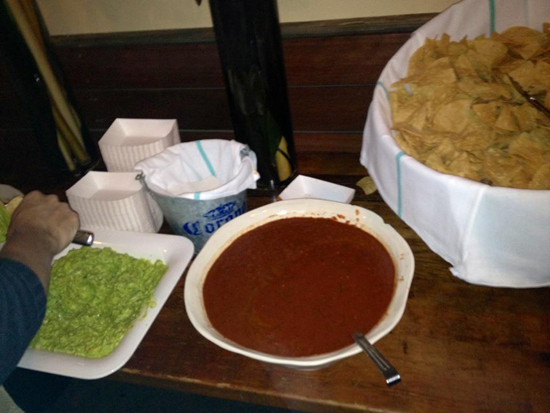 Until tomorrow, we leave you with this massive wad of guacamole and hot tub of salsa found at Ed Lee's election night party at Tres in SoMa. Enjoy.